Declining circulation, lower advertising revenues and competition for viewers’ time from online media platforms like Netflix and YouTube are forcing traditional media—newspapers, magazines, TV and radio—to create more of their own events. It helps them generate revenue from big corporate sponsors who display their banners for all to see. It also lets them sell subscriptions to people who attend, and collect attendees’ email addresses so the media and their corporate sponsors can market to them later. It means that if you’re trying to convince one of these local, regional or national media outlets to cover your story, one of the best ways to do that is to attend their event and start forming relationships with editorial staff members who attend. Don’t confuse these events with those sponsored by nonprofits or other groups who recruit media sponsors. Those media outlets usually help by giving the groups free advertising. I’m referring to events created by the media outlets. The Atlantic earned about 20 percent of its revenue from event sponsorships last year, the article states. And the Atlantic’s sister publication, the National Journal, generated about two-thirds of its revenue from event sponsorships and digital advertising. Read these papers front to back and look for ads that promote the events. Does the newspaper need volunteers? If so, offer your time. What a great way to rub elbows with journalists, editors, photographers and other staff who are covering it. The Spokesman-Review—a daily newspaper based in Spokane, Wash.— sponsored two events that drew readers in two target audiences: people 55 and older, and foodies of all ages. 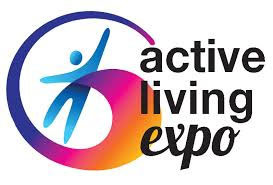 The first event was last year’s Active Living Expo which pulled 303 attendees who bought tickets at $5 each. 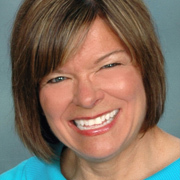 It included presentations and vendor booths devoted to topics of interest to the over-55 audience: heart health, yoga, elder law, private golf clubs open to public memberships, assisted living centers and even local wineries. Had I lived in that community, and sold a product or service for those 55 and over, I might buy a vendor table if I could afford it. If I couldn’t, I’d go anyway and network my tail off. Some of the most valuable relationships I’ve formed were those I found behind the vendor tables at events where I spoke. 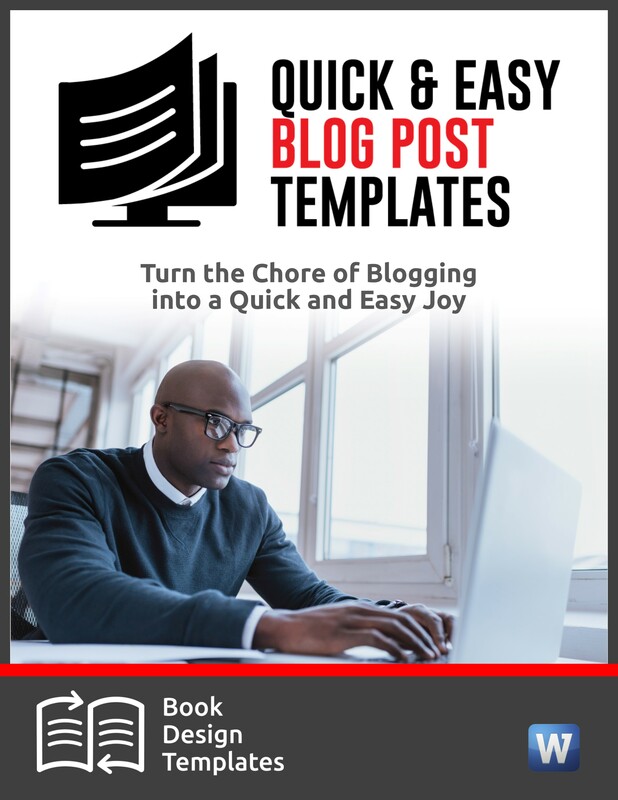 Pick up flyers and brochures that might include valuable tips you can use when creating content. Can you partner with them on a product, service or special promotion? Can you cross-promote each other? 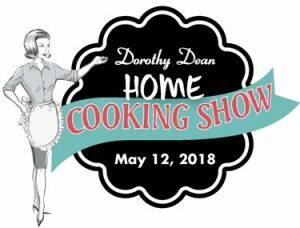 The other more successful event sponsored by the Spokesman-Review was the Dorothy Dean Home Cooking show over Mother’s Day weekend. Look for staff members at these events. You should be able to identify them from their nametags. Or track down someone from the paper and ask them to point out reporters, editors and others from the editorial team who are there. More later on what to say when you meet them. Stations often team up with local charities to raise money through events such as 10K races, bike races and other sports events. You can also find big-name celebrities from your local radio and TV stations at community parades where they serve as the grand marshal. Many of these same celebs are keynote presenters at events that aren’t sponsored by their employers. During an election year, broadcast and print media outlets sponsor “Meet the Candidates” debates and allow spectators in the audience. If you attend, I’ll bet you’ll find at least one reporter or a TV anchor serving as a moderator or covering the event. Note: TV anchors are more than just pretty faces. Many of them participate in “the morning meeting” held around 7:30 a.m. That’s when the news department decides on which stories it will cover that day. Anchors give input. That’s why it helps to know them. 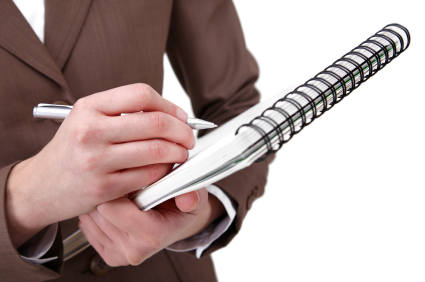 Resist the temptation to pitch a story to editorial staff members at these events. Your Number One job is to introduce yourself and start building the relationship. If food is served, they might be juggling a reporter’s notebook in one hand and a soda or a small plate of finger food in the other. This isn’t the time to bombard them with details on something you want them to cover. Introduce yourself. Address your contact by their first name. (Look at their nametag.) Use a succinct 10-second introduction that includes your expertise. Ask, “How else can I help you?” Almost no one asks this question. Pay attention! Take notes and help however you can. Ask how they wish to be contacted. Some might welcome phone calls. 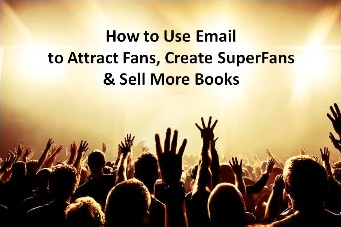 Most will probably want you to email. Ask if it’s OK to contact them in a few months or whenever you have a breaking news story they might want to know about. Ask what social media sites they’re on. Follow them and pay attention to the types of content they’re sharing. Exchange business cards. Does your business card state your expertise? If not, consider adding it when you get your next batch of cards printed. 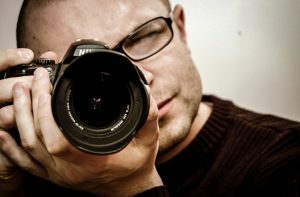 You’ll probably see photographers at these events. Don’t ignore them! Walk up and say hi, especially if you’re with one or more people. Because they might photograph you for the newspaper’s coverage of the event, or for the website. 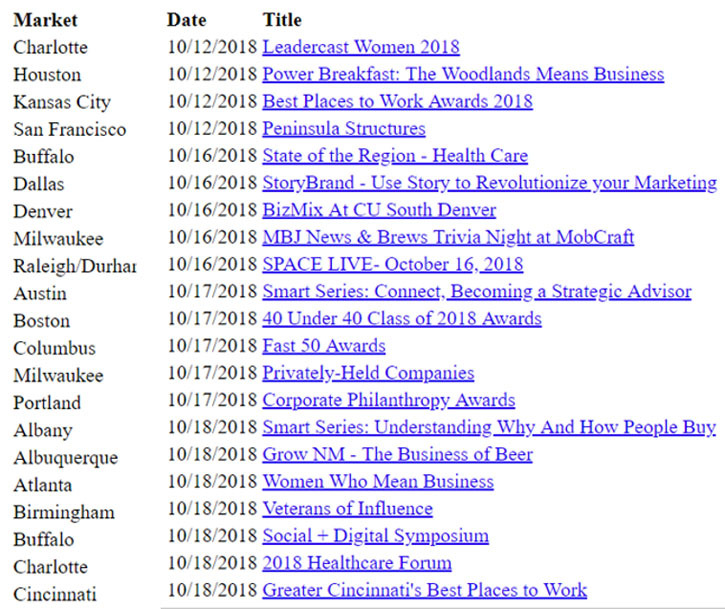 Here are galleries of photos taken by my local business newspaper, the BizTimes in Milwaukee, at events around town, including those they sponsor. 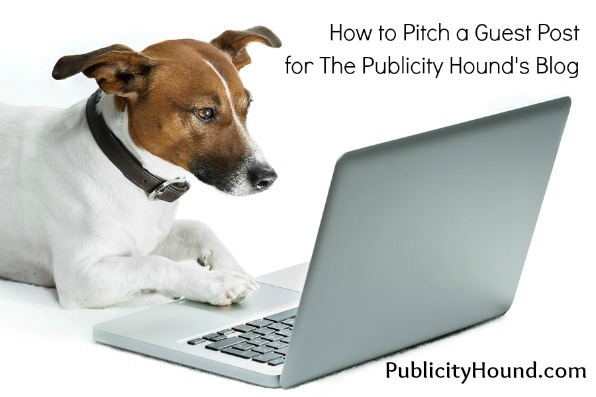 Experienced Publicity Hounds want their photos to appear everywhere. If you’re lucky enough to be in one of the photos, send an email with the subject line “Keeping you in the loop…” to your clients, customers, business friends and associates with a short message explaining that your photo is in the current issue. Or link to the photo at the media outlet’s website. Make nice with the camera crews from local TV news stations too. You never know when you might need their help. 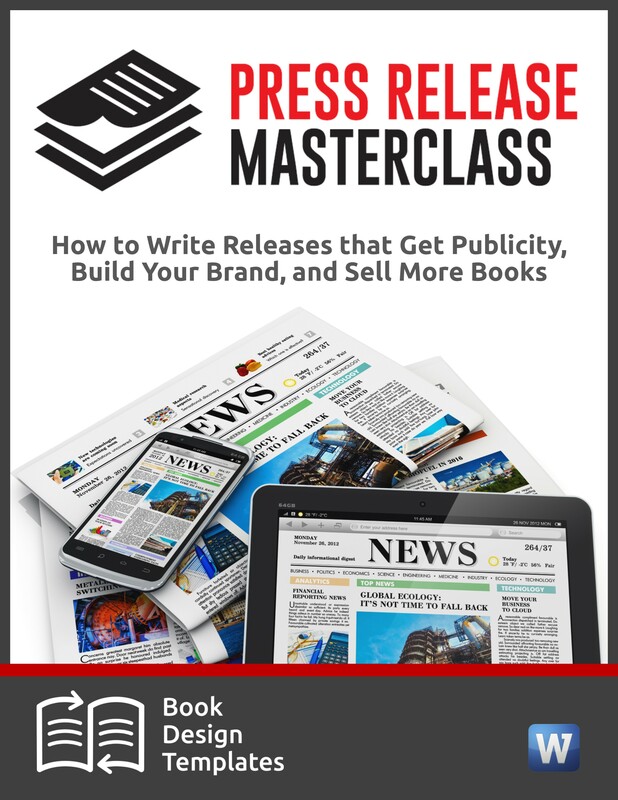 Too many publicity opportunities slip down the drain from a lack of follow-up. At the event, if you promised a media person a media kit, or an interesting article she’d like, send it within 24 hours. If you didn’t promise her anything, find something that ties into the beat she covers and email a link with a brief explanation of why you think the story is important. Thank her for her time. Remind her of the two or three ways you’ll try to help her. Follow your media contacts on Twitter, LinkedIn, Facebook and other sites where they have a presence. But take the extra step to Like, Share and Comment on the content they’re sharing. They pay attention to this, and it’s one more way to stay on their radar. 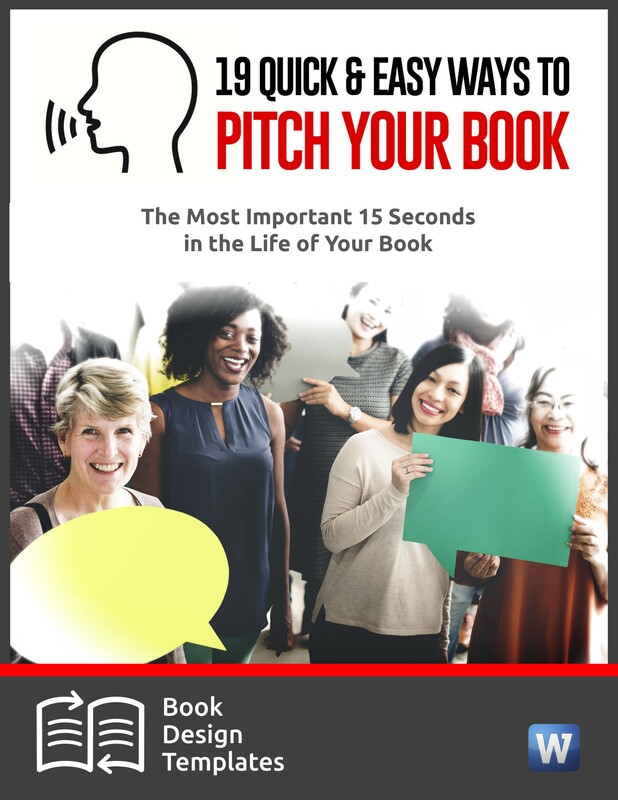 Within a few weeks of the event, pitch one or two story ideas about your own business. Mark your calendar a few months from now and remind yourself to contact them again. Consider asking each one to lunch or for coffee. 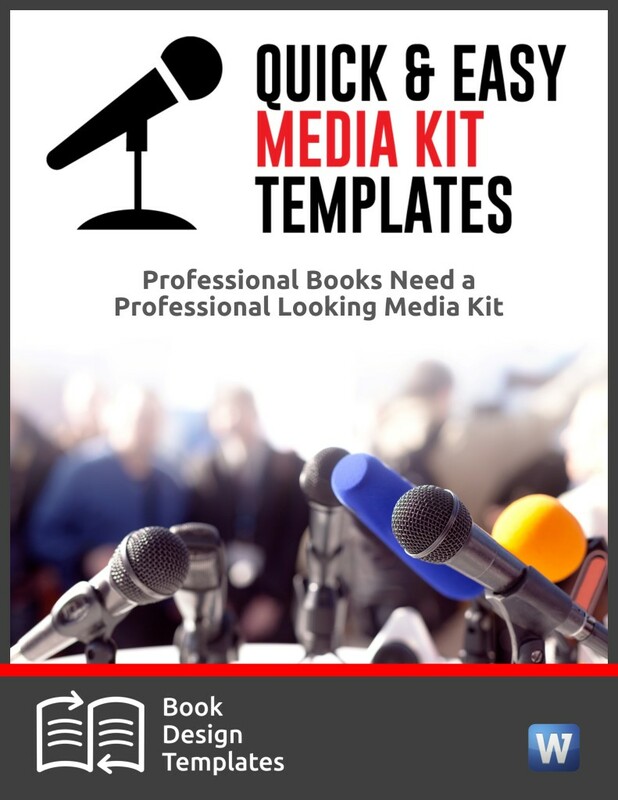 See my article, “22 Tips for Breaking Bread with Journalists.” I wrote it for authors. But even if you haven’t written a book, many of the tips will apply to you too. If you’ve attended media events and formed valuable relationships as a result, or you’ve gotten great publicity, tell us about it in the comments below. Include a link too. I have been thinking about finding and approaching reporters and luckily, each time I turn to your guidance I find precise instructions and concise action laid out for me. A great example is right here: “what to say to journalists and broadcasters”. Thank you so much. I have written to you before and even asked your advice in an email, recently. I was grateful for your response as well. Thank you so much. So glad I could help! Let me know if there are other topics you’d like to see me write on.